WE SERVICE ALL SO CAL COUNTIES . WE COME TO YOU !! an art studio in your own back yard. all ages are welcome in our painting events, its your place, your rules. this is not just an art class, prepare to laugh out loud, Drink, joke, play, dance, all with your favorite people. We create fun art & great memories. did you know that by hosting a party you are also helping orphanages? yeah! you are pretty awesome. YOU CHOOSE WHAT WE PAINT! Let's have fun & relax. We provide all painting supplies, step by step instructions, and loads of fun for everyone! 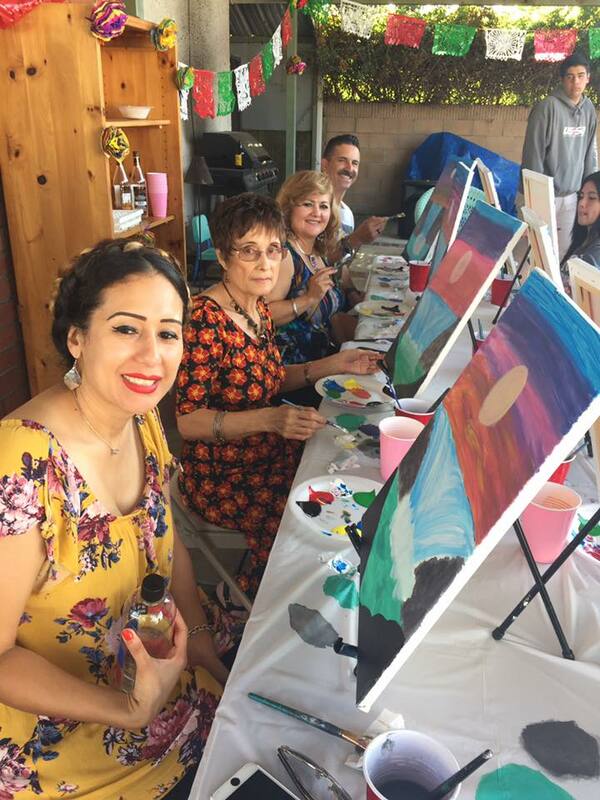 Book a paint & Sip with friends and VIP’s. 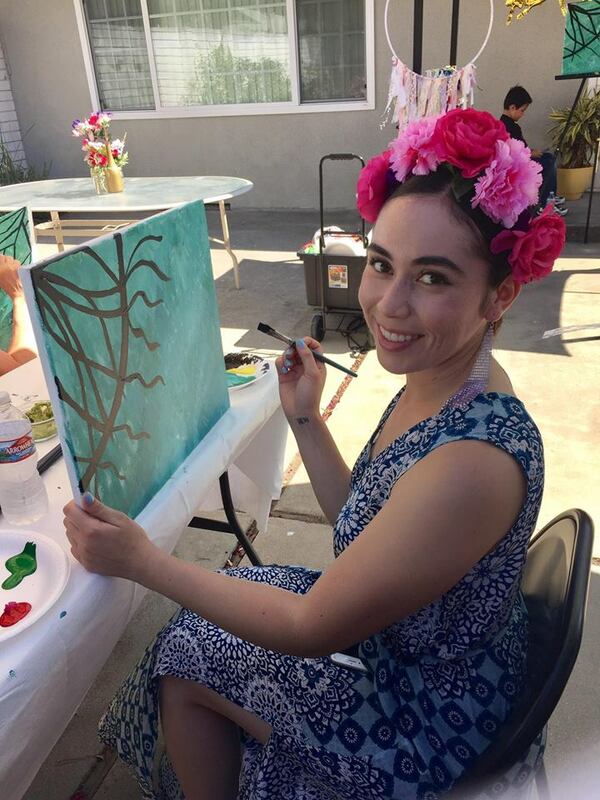 Enjoy the music, Enjoy the laughter, recreate one of our fabulous paintings with step-by-step instructions from our team of talented artists, or choose any painting you want. We deliver an incomparable experience. 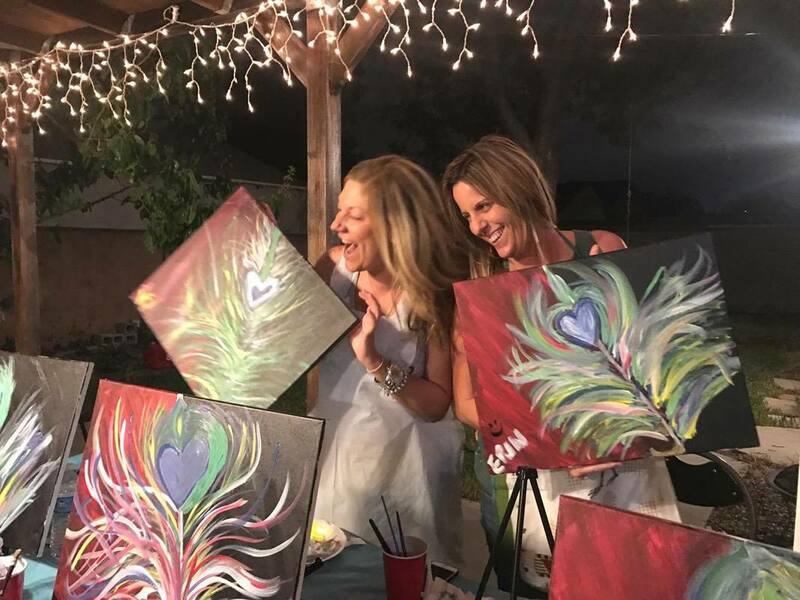 Paint a one-of-a-kind creation while you sip cocktails and mix and mingle with your favorite people. We come to your location so you can drink worry free. You provide the alcohol, anything you want to drink is open game. We Specialize in Fun Exciting Parties, we understand you are stressed from daily life, Kids, Married Life, Work. We help you Unwind, Relax, and forget about your busy schedules, it is a great way to do something different and fun. A date night, a get together, birthdays, corporate events, charities, non profit organizations all events are a great excuse to get together and have a great time. We Play your favorite jams, you drink your favorite wine or "Tequila" and you hang out with your favorite people. Happiness is Eating, Drinking and being Merry, and sharing it with the people we love. Check Calendar for availability or call us to help you plan your party. BOOK NOW!! 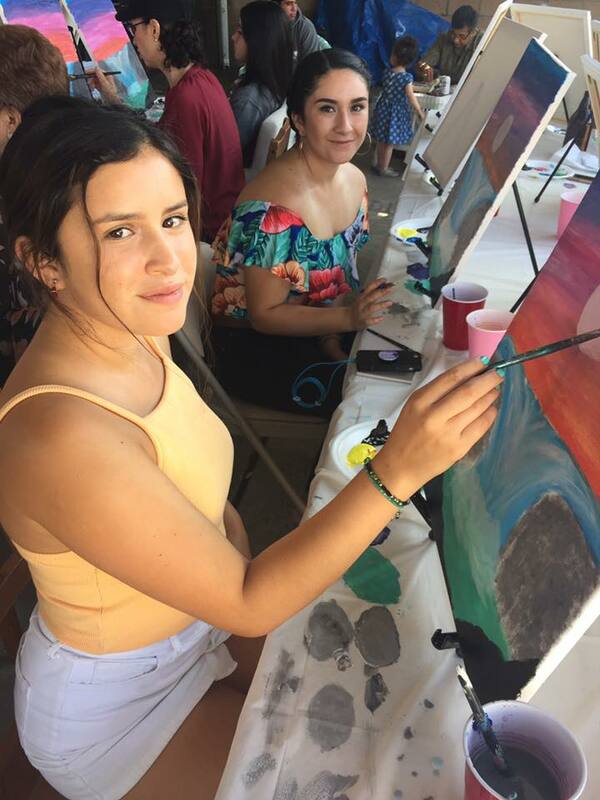 Our events include all necessary art materials, including paint, brushes, and canvases. Just be present and invite a few party people. 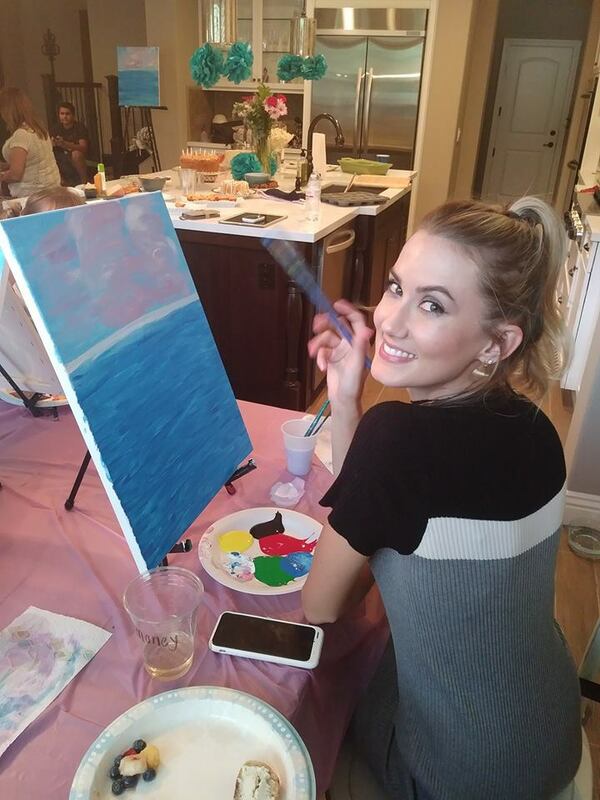 Let's paint & have fun together! A little nervous to paint? Don't be! No Experience is necessary. Our talented instructors will guide you step-by-step! You will be amazed at your very own work of ART!